OWSP featured in Rotarian magazine – One World Sight Project, Inc. The July issue of the Rotarian, the official publication of Rotary International, featured a four-page article and photos of Newport Beach-Balboa Rotarian Dr. Richard Weiss and his work with avoidable blindness efforts around the world. The article was written by freelance writer Dan Halem and distributed to Rotarians in the United States, Canada, India, the Philippines, Japan, Nigeria, Australia, New Zealand, Hong Kong and Indonesia. Weiss spent four months of his ophthalmology residency practicing charitable medicine some 20 years ago in Haiti, where he treated a blind girl named Angeline. The cataract surgery Weiss performed on her was successful and her life was changed forever, as I suspect Weiss was. Since then, Weiss has treated former South African President Nelson Mandela and world famous musicians such as Stevie Wonder and Ella Fitzgerald in his successful medical practice, now in Newport Beach. He established a foundation, the One World Sight Project, and has identified more than 100 public and private organizations that fight blindness, restoring sight to more than 1 million people each year. One World Sight Project promotes collaboration among groups like the World Health Organization, the American board of Ophthalmology, the International Eye Foundation and Rotary International. In 2000, Weiss helped launch Avoidable Blindness Task Force with the RI President Frank Devlyn. The goal was getting Rotarians at the local level involved in the fight against preventable blindness. According to the World Health Organization, 36 million people are blind due to preventable or curable conditions. 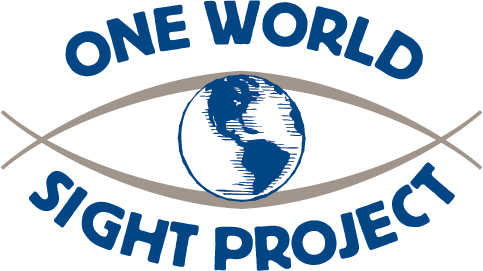 For more information on the one World Sight Project, visit http://www.owsp.org.